This is my introduction to skiing - at the age of six. And how it showed me the importance of getting youth outside. When I turned 6, my parents gave me my first pair of cross country skis. I remember the skis fondly, with the polar bear sticker stuck to the top of each one. Little did my parents know that this gift would shape the majority of my elementary and high school years. 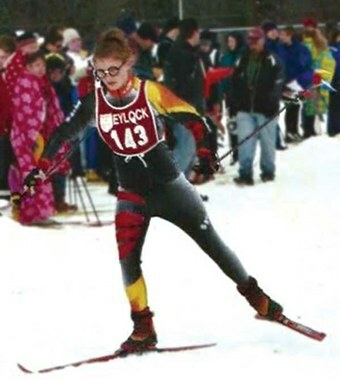 Not only did I join my high school cross country ski team, my friends and I would seek out opportunities after school and weekends to adventure around town on skis. Now, I turn to my skis as a way to escape the Seattle winter. how important it is to expose youth to a variety of outdoor activities. Not every person who skis will love it, but it’s important they have a chance to find out. I look to our Explorers as our next generation of outdoor enthusiasts. I’m hopeful that we’ll inspire the lifelong passion of skiing in a few of these kids — just as my parents unknowingly did when they gave me my first pair of skis. 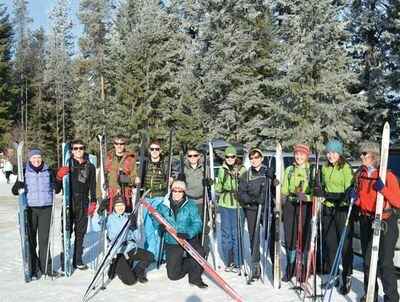 Our Explorers already have one cross country ski day on the calendar for the winter, and I’m excited to watch as their love for the sport and their thirst for adventure grow. This article originally appeared in our November/December 2014 issue of Mountaineer magazine. To view the original article in magazine form and read more stories from our publication, click here. Learn to ski with the Mountaineers today. Check out all our ski course listings for the winter season!